Now THIS Funimation should be able to afford the rights for. The preorder page is up on Amazon. 14000 yen, March 27th. Gendo'sPapa wrote: Now THIS Funimation should be able to afford the rights for. That's cute, but Funimation can't have it anyway. NOZOMI ENTERTAINMENT ALREADY HAS THE LICENSE FOR THE DVDS (and I consider them the better anime disc distributor anyway), so I think it's gonna be more like Nozomi's other release of Utena. They might discontinue the DVDs (which are still currently in print), but only if they’ve renegotiated the licenses for the HD maters for a Blu-ray release. EDIT: Also, I hit up Nozomi Entertainment over Twitter, and they said that they had nothing to share regarding a Blu-ray upgrade. Guess we wait. It's an upscale, not an HD remaster. FreakyFilmFan4ever wrote: Wait, what? Do you have a source for that? It will be a beautifully rendered HD video with FORS (false) technology! Also here a technical explaination. They upscale from the SD feed to HD, they don't go back to the film/cells. They also have some example of the median quality upgrade of the technology. Resolution will be HD, but the video quality will still be substandard sadly. BUT Kare Kano wasn't fully produced in a digital workflow, so they could theoretically go back to the original film stock if it isn't lost. BUT so much of Kare Kano's animated titles were rendered digitally in an interlaced SD format that much of those elements would have to be reconstructed from the ground for an authentic HD release. (And there were a lot of them.) And I do remember that, along with the animated on-screen titles, much of the episode recaps were "fast-forwarded" in a way that fully utilized 60 fields-per-second interlaced video, which wouldn't be a part of the 24 frames-per-second workflow for a conventional HD release. So ultimately so much of Kare Kano's editing workflow seemed to fully utilize interlaced digital formats that rescanning into a proper 24 fps format would be difficult. BUT wouldn't an upscale simply do the same thing anyway? Modern flat-panel televisions were never in interlaced formats, only the CRT television were. 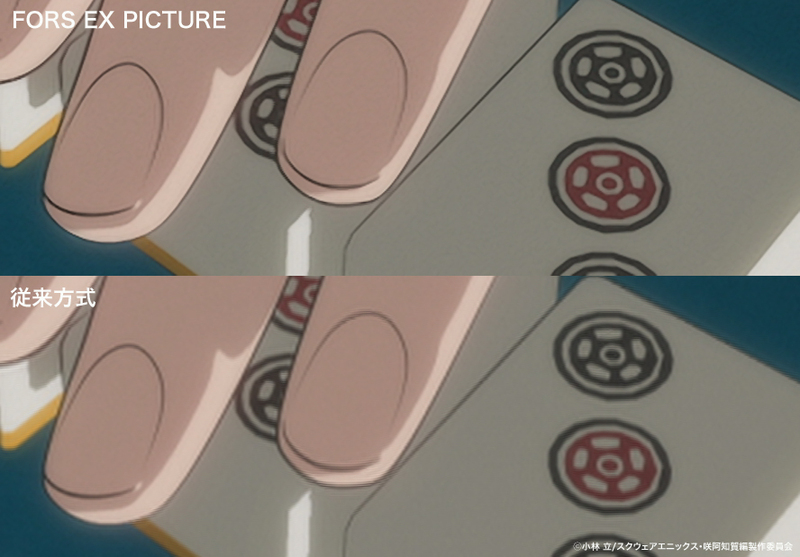 Adjusting any of that stuff for a progressive-based format (such as a flat panel HD screen) in an upscale would simply a lazy way of negating the uniqueness of the interlaced video in Kare Kano as rescanning the film would. Whatever. Actually, I have a home theater system that uses both an LED flat panel and a CRT television. I pick whichever screen is best suited to whatever format I'm watching. (VHS, DVD, Blu-ray, etc., in fact, just today I watched Jurassic Park on both VHS and Blu-ray simultaneously.) Technically, I can still watch Kare Kano in all its interlaced glory on my old CRT. I'm just confused as to why they aren't providing an authentic HD release with their Blu-rays. I mean, if the animation was originally photographed on film, then why not? I guess it's less expensive to simply upscale the DVD feed, or as you said they lost the film. It also could be that they don't expect to sell enough copies to warrant an expensive remaster, especially when it is difficult like FreakyFilmFan4ever suggested. I hope I don't forget about it, I'd be sad if I miss out to own these because I miss the preorder period. So, Khara's MAIN TWITTER has been tweeting a lot about the upcoming Khara Kano BD boxset. Des that mean that they own it now instead of Gainax? Or are they just promoting the work of Anno over the various studios for which he's worked? Picture Quality seems greatly improved - at least to my eyes. I'm happy I've preordered the box, really looking forward to receiving it! Also, I really hope for some interviews to surface - maybe Anno talks a little bit more about what was going on behind the scenes. The trailer made me emotional. He also connects different things really well to tell sort of a story. Man, I wanna rewatch Kare Kano now. I'll buy the Blu-rays if it gets an American release. There are benefits to an upscale (usually you at least get a wider color space than the DVD), but they're not something for which I would pay Japanese prices, especially if there were possibly existing film prints that could have been scanned in HD instead. Might buy the Japanese boxset simply because it looks like the first batch produced will contain a strip of film used in production circa 1998/99 like what the first two Rebuilds had. First episode officially up as promo (not fullscreen).